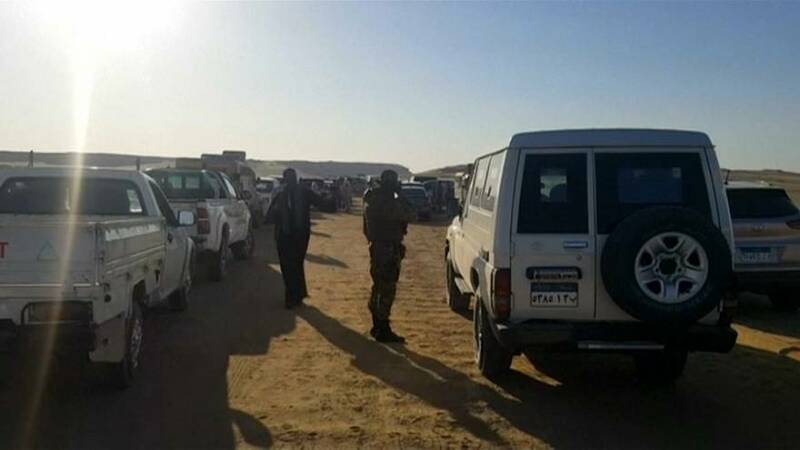 Security sources say more than 50 police officers have been killed by armed militants in Egypt’s Western desert during a raid on a suspected rebel hideout. Several more police are said to have been injured. The interior ministry says a number of militants also died. Security forces are said to have been following a lead to a desert base used by eight suspected members of Hasm – a group that has claimed attacks around Cairo targeting judges and police. Militants then apparently ambushed their convoy of four SUVs and one interior ministry vehicle from higher ground, using rocket-propelled grenades and detonating explosive devices. Earlier sources put the number of dead at just over 30. Egypt accuses the Hasm group of being the militant wing of the Muslim Brotherhood which was outlawed in 2013, a claim the Brotherhood denies.